Linda Parker UK Independent Stampin' Up! Demonstrator from Hampshire @ Papercraft With Crafty : New Storage Solutions from Stampin' Up! - Available To Order From Today ! New Storage Solutions from Stampin' Up! - Available To Order From Today ! Well lookie lookie - and this is no April Fool !! I am excited to be sharing that Stampin' Up! 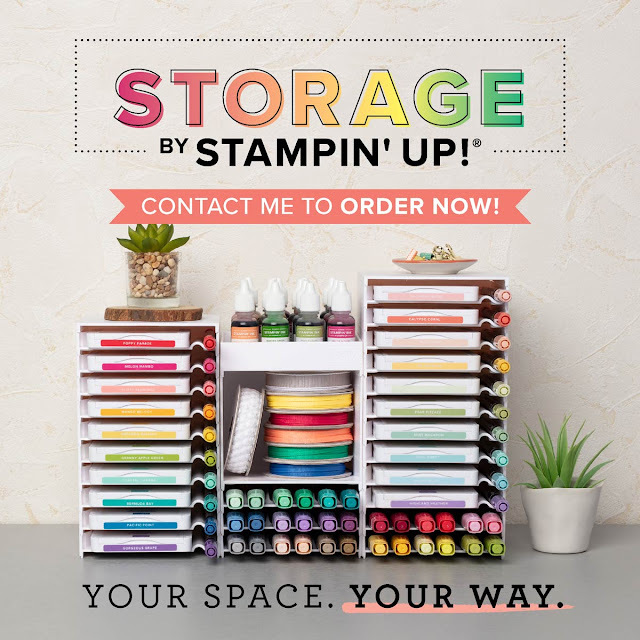 have released a really clever and neat storage solution to store and showcase their range of Stampin' Pads, Watercolour Pencils, Stampin' Blends, Stampin' Write Marker Pens and other accessories, available to order from today. Ensures that Stampin' Pads, Stampin' Blends and Stampin' Write Markers are all stored horizontally as recommended. Stacks vertically and can be arranged to fit practially in any flat workspace. Here is a handy video demonstrating the system.